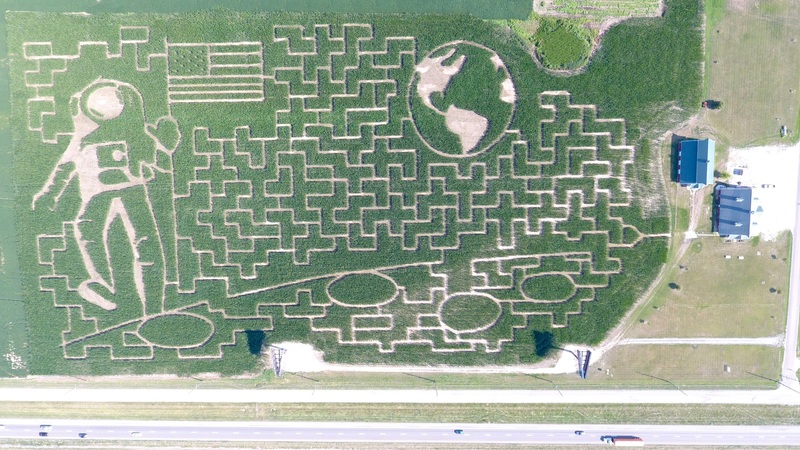 Make plans now to come out to the farm and enjoy our life-size corn maze, group hayrides, roaring campfires, pumpkins, and the famous gumball coaster! All kids 12 and under must be accompanied by an adult at the Farm! See Activities on the Farm for more information. *Ticket sales will end and maze will be cleared after one hour. Thursday evening for groups of 30 or more BY RESERVATION ONLY from 6pm – 9pm. Call (573) 592-0191 to make your reservation. Hours are dependent on the weather. Check this page for updated information. School group times are available on Tuesday or Thursday with reservations in advance. Please email dustin@callawayfarms.com to make reservations. Groups must have a minimum of 30 people to come on a weekday. All groups must provide supervision for students in the maze. We suggest a teacher or parent with each group of 4 to 6 students. Supervisors will receive admission at student rate. Individuals damaging the corn or acting in an unsafe manner will be required to leave the premises. No alcoholic beverages allowed. All smoking is prohibited in the barns and corn maze. No pets are allowed in the Corn Maze, or inside the facilities. No unauthorized drone use is allowed at Shryock Callaway Farms. All kids 12 and under must be accompanied by an adult chaperone on the premises.